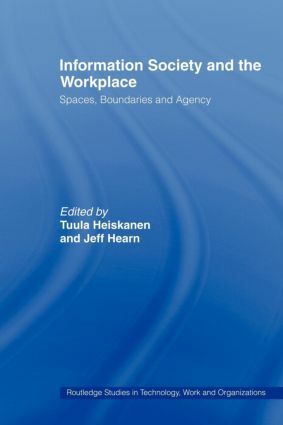 Tuula Heiskanen is Research Director of the Work Research Centre, a unit of multidisciplinary working life studies in the Research Institute of Social Sciences, University of Tampere, Finland. She has studied professional and industrial work, work organizations in both public and private sectors, and both male- and female-dominated organizations. She is co-editor of Gendered Practices in Working life (1997). Jeff Hearn is Research Professor in Sociology at the University of Huddersfield, UK, and Academy Fellow and Professor at the Swedish School of Economics and Business Administration, Helsinki, Finland. His interest in information society comes particularly from research on gender, sexuality, violence and ICTs. He is co-author of Gender, Sexuality and Violence in Organizations (2001).